Weddings At the Cape Club of Sharon. Book a Wedding with us today! It has to be perfect. From the flowers to the hors d’oeuvres, every detail matters. But nothing matters more than the wedding venue. Nestled on a lush and natural 200-acre golf course, The Cape Club of Sharon provides a beautiful, enchanted setting. The newly renovated clubhouse features a dramatic cathedral ceiling, elegant chandeliers, and an oversized dance floor. Floor to ceiling glass windows in the renovated grand ballroom frame our gorgeous landscape and look out upon the firepits which light up the deck that faces the setting sun. You can come in for a formal tasting with our Executive Chef who will then create a custom menu for your event. Our cuisine is some of the finest in New England. Let our chef help you get inspired. Our staff of seasoned professionals work with you on every detail to make sure that this day is everything you’ve always dreamed of. We have a short list of preferred vendors that consistently exceed expectations from photography and videography, the flowers, and the music to the incredible candy creations that people enjoy on their way home. The Cape Club of Sharon is only 25 minutes from both Boston and Providence. Located just off Route 95, there are several major hotels nearby. We can accommodate a ceremony or reception with as few as 60 or as many as 250 guests. Review us on "The Knot"
Review us on "Wedding Wire"
Samantha & Bobby || Wedding Highlight Video from Shutter And Sound Films on Vimeo. Alex & Jennifer Cinematic Highlight from Memories RI on Vimeo. When Amy and Dan became engaged they wanted their wedding to be held in the early summer of 2017. Amy informed us that she and Dan wanted the possibility of being able to have the ceremony or some part of their wedding outdoors. So where did that leave us? The Cape Club of Sharon formerly Spring Valley Country Club had always held a very special place in my heart. My parents belonged to the Club, and I remembered all the wonderful and special memories we had as a family. So to us this was it!! The Club had just gone through a complete makeover. It is contemporary and yet very sophisticated. Everything about the Club provided what Amy and Dan were looking for. The grounds were beautiful and perfectly manicured. The ceremony was held in front of the club's large floor-to- ceiling windows and gave the look of an outdoor wedding. Cocktails were held in another part of the club that had a very large and fully furnished deck. One of our requests was to have as few lines as possible at the bars. So the club allowed us to have an additional bar set up on the deck. The dining room was set up to all of our specifications, and the transition from the ceremony to our reception was seamless and very well planned. The Club's wonderful and creative wedding coordinator Nicole came up with a brilliant idea of rearranging the entire floor plan so that we had an extremely large dance floor that could accommodate our band with plenty of room for all of our guest to dance. This was very important to us! Another request granted! Well before the wedding we had a food tasting. The food was delicious, well prepared and beautifully presented. The wait staff couldn't have been more professional, accommodating, courteous and delightful. Most of all, Nicole spent many many hours with us, both at the club and on the phone. She always put us at ease. Nicole always made us feel that her goal was to make sure her venue and her staff were there to make Amy and Dan's wedding weekend everything we all had hoped for and more! She worked extremely well with all of our vendors, from our wedding planner to the florist to the band, the photographer and videographer. I highly recommend the Cape Club of Sharon for any type of function. The venue, professionalism, food and staff was fantastic! It was a pleasure working with Nicole and the Cape Club. 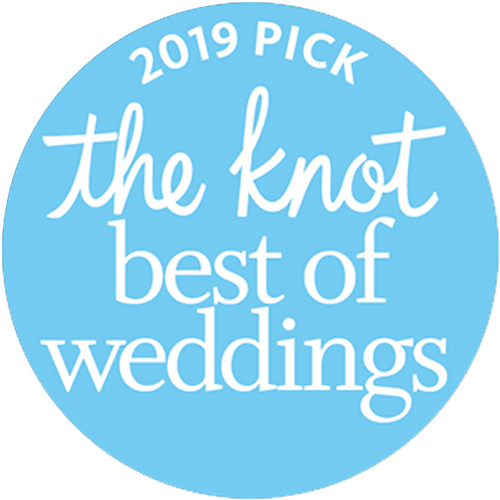 We just had our wedding at the Cape Club less than a month ago and because reviews on The Knot were so helpful during my planning, I wanted to make sure I returned the favor to new brides. My husband and I had a beautiful wedding at the Cape Club with Nicole ensuring everydetail was as I planned. The venue was recently renovated and the layout is perfect for large or small weddings. We ended up moving our ceremony indoors 3 days before the wedding due to questionable weather (it ended being an amazingly sunny day) and Nicole set us up without batting an eye. Not only was everything set up exactly how I envisioned it, the food was amazing! Everyone has been telling us how great all the food was from the appetizers to dinner all the way through to the late night tater tots (a must!). I really was very impressed with how smoothly the entire night went thanks to Nicole and the entire staff at the Cape Club. I was crazy nervous about every detail and worried for no reason - the team at this venue is really great and will do everything to ensure you have a great day. We hosted a Bar Mitzvah for roughly 200 people during the fall of 2016 were thrilled with our event. Everything exceeded our expectations and we wholeheartedly recommend the venue for anyone planning a special event. The catering/event director was a pleasure to work with and provided many terrific suggestions. We were confident that the night would be successful because of her attention to detail. The food was fantastic and both the chef and catering director went out of their way to design a menu that would accommodate every guest, including those with food allergies and dietary restrictions. The venue is beautiful, both inside and outside, and all of the staff members were most attentive to our guests. Following the Bar Mitzvah, so many of our guests reached out to us to comment on how wonderful everything was. In sum, we wouldn't change a thing and we are very grateful to everyone for making this night so memorable. This venue was beyond perfect for our wedding. After a staffing changeover, we ended up working with Nicole instead of Doreen and she was FANTASTIC. She was so professional and accommodating, even with the last minute staffing change and renovations. Working with Nicole was like working with an old friend. She was super on top of everything and so helpful dealing with my hundred questions leading up to the day of. The venue itself is GORGEOUS. It was recently renovated and it's even better than it was before. We received so many compliments on how beautiful the venue was. The food was incredible! We had stations instead of a plated meal and had a mac n cheese and mashed potato bar, beef carving station, and more. It was all delicious and people haven't stopped raving about the food! The cocktail hour food was also delicious. We also had passed desserts and they were so yummy. At the end of the night, we had breakfast sandwiches to go (which ended up being our wedding favor) and they were a hit! The food was over the top amazing, the venue was beautiful, the staff was fantastic about setting up all the decor, and Nicole was the BEST. Highly recommend this venue! It's also reasonably priced, especially in comparison with other venues in the area. We had 200 guests.